Moscow relies on radical nationalists in all countries of the world, not only in Europe but also in the United States. However, one should admit that Russia was quite effective in using Serbs in its operations. On 26 April 2013, the square in front of the Serbian parliament in central Belgrade was full of people and a large number of tricolour flags, both Serbian and Russian ones. It was the rally in protest against the agreement between the governments of Serbia and Kosovo on the normalization of bilateral relations between Belgrade and Pristina, which was signed a week earlier. This fact alone was enough for thousands of protesters to pour into the streets once the agreement was signed: there were banners, nationalist symbols and the all-time slogans like "Kosovo je srce Srbije!" [Kosovo is the heart of Serbia!]. Numerous rallies outside the government and parliament, which demanded "protection for the Serb population" and "the return of Kosovo", lasted for several weeks. According to the protesters, they were concerned that in the absence of the Serbian influence, the genocide and ethnic cleansing of the non-Albanian population would immediately begin in Kosovo. For a stronger effect, the rally participants occasionally played the old Serbian national anthem "March on the Drina" interspersed with stories about Kosovo as the source and cradle of the Serbian nation and the legends of the Kosovo Bojur, a mythical flower which supposedly grew on Kosovo Polje, the area soaked with the blood of fallen soldiers after one of the famous ancient battles. It would seem difficult to find a more respectful reason for outrage! However, upon closer inspection, things turned out to be not so straightforward. Most protesters were not spontaneously gathered passers-by but guests from Russia, as well as members of various nationalist organizations and the Serbian Radical Party. 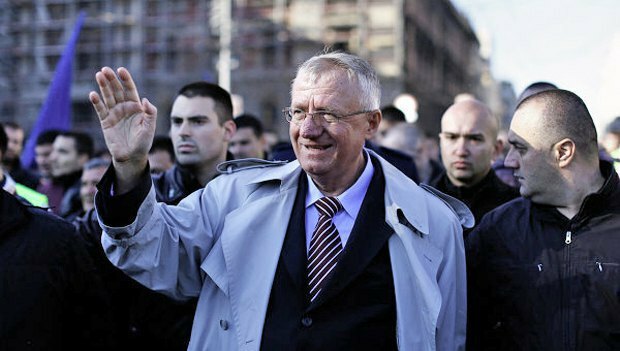 Its leader Vojislav Seselj spent as many as eleven years in The Hague for war crimes in the former Yugoslavia, and came back to Belgrade a couple of years ago. The legend of the Kosovo Bojur, according to indigenous Serbs, was also a recent invention and has no real roots in the history and culture of the country. Moreover, it is only quoted by those Serbs who have close ties with Moscow and at the same time strikingly resembles the Kremlin's similar myth about Crimea's "sacred Korsun". And the reason for protests was not as impeccable as it seemed at first glance. No independent human rights activists have for several years received any information about any incidents of the mutual genocide between Serbs and Albanians in Kosovo. However, the myth of late Slobodan Milosevic that all Serbs should live in one state still resonates in the hearts of members of this nation. These people today demand borders to be re-drawn based on ethnicity, dream of restoring "one big country" and sincerely believe that all Serbs abroad are in mortal danger. And it is on them that the Kremlin bets in its "hybrid" war with Europe. Political analyst Vencislav Bujic is well aware of Serb nationalists. For a while, he mingled with them, believing in the traditional "brotherly" closeness between the two peoples, but came fairly quickly to the conclusion that the Russian "brothers" simply used the Serbs in their war against the West, and are now preparing to bring true chaos to his land. Now the Serbian analyst is doing what he can to tell his people and the rest of the world the truth about what the "fraternal assistance of Moscow" really is. 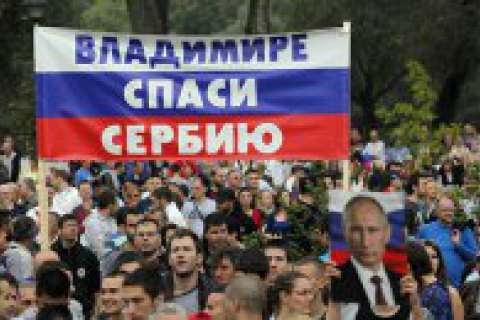 "People associated with the Kremlin are openly promising Serbs that Russians will soon come to this land, occupy the whole of Europe and bomb all the enemies of Serbia. To explain the need for this, they are trying to instill a thought that NATO and the EU are demonic, satanic forces dreaming of destroying or enslaving the Balkans. Unfortunately, due to the bombings in 1999 a part of the population is still inclined to believe such things. The worst of all is that such views are mostly spread by members of youth organizations. Their leaders, who have great political ambitions, get invited to Moscow, advised and guided by the Kremlin," Vencislav said. Among these organizations, according to the analyst, are Obraz, Zavetnici, Treca Srbija (Third Serbia), Istocna alternativa (Eastern Alternative), Nacionalni stroj (National System) and others. In Vencislav’s opinion, approximately 20% of the population is being subjected to this propaganda, and as much as 50-60% of Serbia's population is prepared to believe a softer version of Russian propaganda. 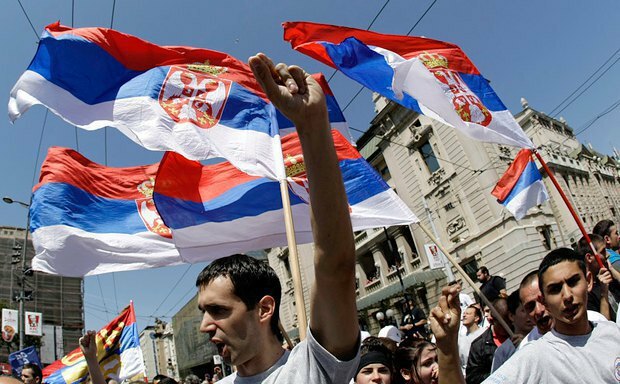 Serb nationalists maintain active contacts with the Russian "brothers". 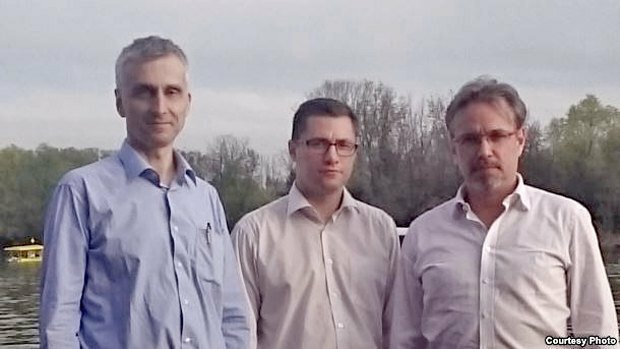 Vencislav Bujic himself happened to attend a meeting with Sergey Lushch from the pro-Kremlin organization Young Russia (Minsk, Belarus). "At this meeting, he spoke very openly about their plans to destabilize Serbia. In particular, Lushch said that he needed to have his men in each city of Serbia with a population of more than 20,000 people. The main task of these people and organizations is to gain the trust of the local population, often through active social work and landscaping improvements. Lushch emphasized that these activists, up to a certain moment, should not brandish their pro-Russian orientation and never criticize the pro-Western course of development in public," Bujic said. According to him, the pro-Kremlin organization's functionaries planned to deploy "sleeping agents" throughout Serbia , which then, when the right time comes, will be able to stir an anti-Western uprising in all their cities. Unfortunately, the Serbian authorities are quite lenient towards the pro-Kremlin nationalists and largely support pro-Russian sentiments themselves. 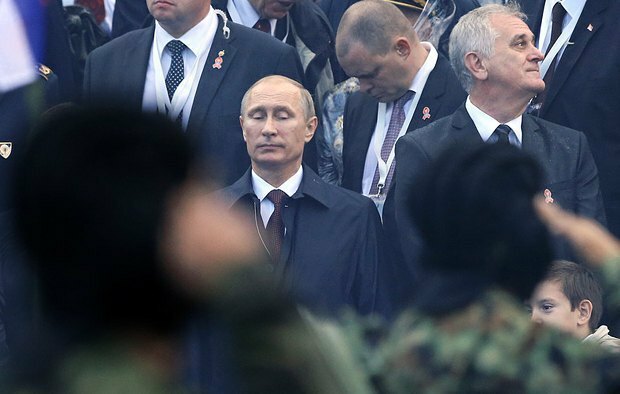 Under President Tomislav Nikolic, Serbia refused to join the sanctions against Russia, and even the autumn military parade was specifically tailored to the visit by the Russian president. At the parade, Nikolic again proclaimed his loyalty not only to the "Russian world and the Orthodox brotherhood", but also to investments from Russia and, most importantly, its energy sources. Moreover, in the heart of the city there is a TV tower which was literally blasted to pieces by the NATO bombing on 23 April 1999. The part that was hit the most has not been repaired and stands tall in central Belgrade, reminding its residents of the tragedy and thus keeping anti-American sentiments simmering in them. Serbian media still portray Yugoslavia as nothing but an innocent victim of the attack, ignoring their own war crimes, including the genocide of Bosnian Muslims, Croats and Kosovar Albanians or the siege and bombardment of Dubrovnik's Old Town during the Croatian war in 1991. I would like to add that such behavior of the Serbian authorities is very short-sighted, as the Kremlin clearly does not think these little displays of devotion are enough. Moscow, for example, is not happy that the Serbian government has yet to agree to the construction of a Russian military base near the country's second largest city, Nis. Considering the Serbian allies' concessions insufficient, the Kremlin has actively supported the radical pro-Putin forces which have repeatedly branded Nikolic a "traitor" and a "pro-Westerner". Russian websites, such as the Russian Spring, pompously tell the stories of "transformation of patriots and Russophiles Vucic and Nikolic into Westerners and liberals " and praise aforementioned Vojislav Seselj. Thus, any pro-Russian concessions by the Serbian government threaten the ruling party in the first place. In addition to the active work inside the country, pro-Kremlin Serbian nationalists are actively involved in the Kremlin operations abroad, including acts of terrorism, war and even the seizure of foreign territory. So, thanks to already mentioned Vencislav Bujic, a video was recently made public on which the head of the radical organization Srpski Vukovi (Serbian Wolves) Aleksandar Sindelic admits to close ties with the Russian Defence Ministry. In particular, Sindelic says that he personally recommended to the Russian military another nationalist Bratislav Zivkovic for participation in the occupation of Crimea, after which he easily passed the vetting. 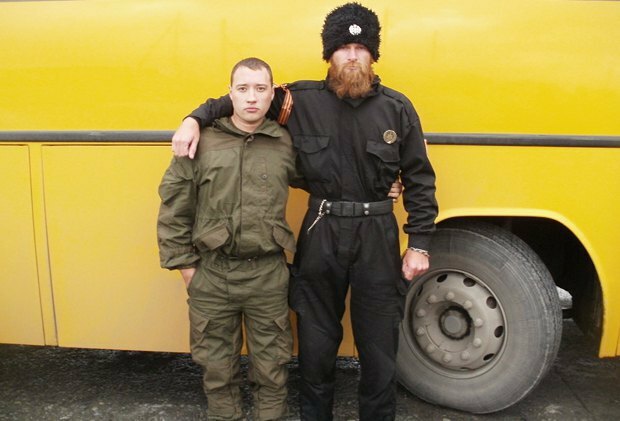 According to Bujic, Zivkovic was one of the Chetniks, the Serbs who arrived at the Crimea "referendum" on 16 March 2014, where they joined the Russian "Cossacks" and together kept duty at the occupation checkpoints near Sevastopol. "When they checked him while he was in Crimea, he had a guarantee which I gave him here (in Serbia), and then he passed the test," Sindelic is seen saying on the record. The next place where the Serb "younger brothers of the Kremlin" were seen is occupied Donbas. "The Serbs were mostly engaged in "counter-intelligence" agent the so-called "agents of the Right Sector" and with unrestrained criminals. The majority of Serbs did not even speak Russian, therefore they mostly participated in the arrests of suspects, their delivery, as well as torture and executions, while the interrogation of detainees was done by the investigators of the Russian FSB. [Chechen leader Ramzan] Kadyrov's men were mostly used for patrolling when it was necessary to intimidate the population. They are good at this," Olga says. "Those Serbs who spoke Russian openly said that here they were still fighting the war which they waged in Croatia," Olga, a refugee from occupied Horlivka, added. The biggest scandal involving Serbian nationalists was the recent failed coup in Montenegro when the Montenegrin authorities openly said that the terror acts and coup had been plotted by Russia planning to use Serbian radicals for this purpose. By the way, Serbian Wolves leader Aleksandar Sindelic was identified as the main organizer of the coup. In the meantime, Vencislav Bujic is confident: Moscow's aggressive plans in the Balkans will not be limited to the "Montenegrin failure". "When Russian Deputy Prime Minister Dmitriy Rogozin came to Serbia to meet the leader of the Serbian Radical Party, Vojislav Seselj, at the beginning of 2016, he put it straight that the most important priorities for the Kremlin now are Montenegro and Macedonia. I learned this directly from the people close to Seselj. Rogozin used it as the reason to explain why he did not have the money to support the Serbian radicals at the moment. I understand why he has singled out these two priorities. Montenegro is about to join NATO, while Macedonia stands in the way of the Turkish Stream [pipeline project] in which Russia is involved. Of course, Putin and his entourage do not want it to cross the territory of countries in the sphere of Western influence," he said. However, there is nothing new about the fact that Moscow is betting on radical nationalists in all countries of the world. The Russian special services used similar approaches not only in all major European countries, but also in the United States. However, one should admit that was quite effective in using Serbs in its operations, considering nationalist sentiments and imperial complexes are still strong in Croatia. However, more and more experts agree that not only ordinary people of the country, but also the leadership of certain nationalist parties gradually grow disappointed about cooperation with Russia. We would like to hope that the West will pursue a wise policy to integrate the Balkan states and will not alienate them with is its own growing nationalism.